This week Brian Michael Bendis makes the jump from Marvel to the Man of Steel, and we enter Blackwood! After months of build up, the time has finally come for Brian Michael Bendis’ Man of Steel. 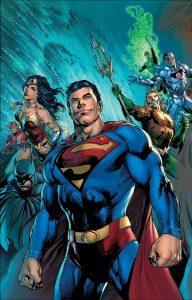 A weekly miniseries, this new start marks the beginning of Bendis’ run on the Man of Steel, and boasts a pretty impressive roster of rotating artists, with the first being Ivan Reis. Promised as the start of a mystery that has ties to Superman’s past, this opening issue serves as a good indication of how Bendis fits into the DC universe, and it’s the shot in the arm that this writer has needed for quite some time. After a series of arsons rock Metropolis, Superman is left wondering who is behind them. He’s also wondering just where his wife, Lois Lane, and son Jonathan are. This mystery has some roots with Rogol Zaar, an alien warlord who has ties to Superman’s home planet of Krypton, but we don’t have much to go on just yet with the character. All we know is that he hates Kryptonians, and believes that they need to be wiped out for the good of the galaxy. Brian Michael Bendis is well known for his unique writing style, and I was initially a little concerned with how it would work with DC’s biggest hero. But amazingly, Bendis’ script works really well. His penchant for long dialogue trees and padding out an issue isn’t present here at all, and while there’s not a ton of action in this opening issue, it’s still a pretty good introduction for his take on the character. With the exception of the disappearance of Lois and Jonathan, Bendis doesn’t shake up the Man of Steel’s world like he did when he first took over the Avengers, which is honestly the biggest surprise of all. Ivan Reis is a very solid choice to kick off this event. With a style that both fits within the DC “house style” but also allows for his signature take, Reis is able to give the few Acton sequences in this book the care they need. He also, for my money, delivers one of the quintessential depictions of Superman in modern comics. When you see Reis’ take on the character, it just screams “Superman”. So far, Bendis’ arrival to the DC universe is a pretty damn good one. While not completely reinventing the wheel, this opening issue does have some great moments, and proves that Bendis’ style can fit within DC. We’ll have to see how this mystery pays off, but for now, the Man of Steel is in good hands. What happens when you mix Harry Potter, Scooby-Doo, and a dash of old school Horror Movies? You might get something a little like Blackwood, the new series from Dark Horse comics. 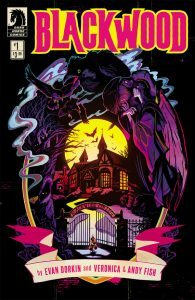 Written by Evan Dorkin and drawn by Veronica Fish, Blackwood #1 finds a group of students enter into their first semester at Blackwood College, a creepy building surrounded by cemeteries. Filled with weird staff and even stranger scenarios, it’s only a matter of time until someone, or something, comes after them. Evan Dorkin’s script is full of the usual Horror cliches, but at no point does Blackwood feel boring or derivative. 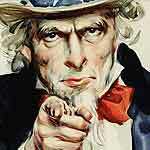 Instead, it’s a great example of how well the usual tropes of a genre can be used effectively. From the different student’s interactions with one another to the delightfully creepy atmosphere of the college in question, Blackwood feels less like a boring retread and more like a fun love letter to the Horror films of old. Veronica Fish’s art style is surprisingly perfectly suited for this book. Her slightly cartoony styleis really well done, and she captures the mood of this series perfectly. The gothic style of Blackwood is expertly creepy, and all of the characters unique personalities shine through her pencils. I initially wasn’t that interested in Blackwood, but I’m glad that I ended up checking it out. If you’re a fan of old school horror movies like The House on Haunted Hill, you’ll probably end up finding a lot to like in Blackwood. There’s not enough cool Horror books like it on the stands, so if you like this particular type of book, you should absolutely check it out. 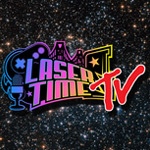 Laser Time – King Kong vs Godzilla, and Monster Size Rankings!